Swamps and stream banks; also upland forests, including aspen, oak-hickory, and rich beech-maple stands. 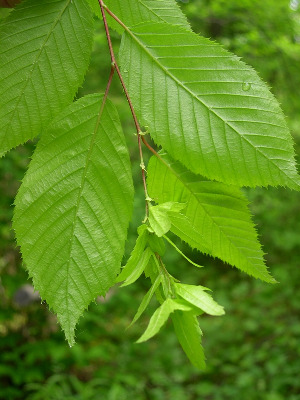 This is sometimes called ironwood, a name better reserved for Ostrya. The straight unbranched lateral veins of the leaf may suggest those of beech, and the leaves are also plicate in the bud; however, the margins are doubly serrate, while in beech the only teeth are at the ends of the veins. The nutlets are in pairs, subtended by a prominent green bract formed by enlargement of the tiny floral bracts; the true subtending bract is deciduous. The smooth muscular-looking bark is an ideal field character. MICHIGAN FLORA ONLINE. A. A. Reznicek, E. G. Voss, & B. S. Walters. February 2011. University of Michigan. Web. 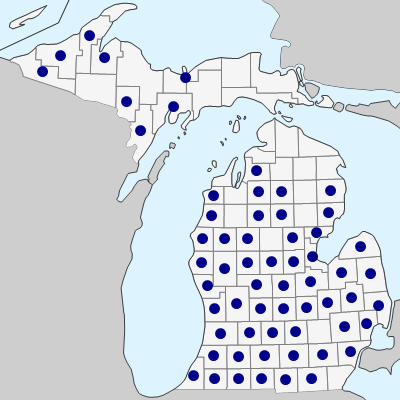 April 19, 2019. https://michiganflora.net/species.aspx?id=555.